All high & excellent land – about 5 acres cleared has been cultivated by the Indians on sd. 5 acres are from 20 to 30 Apple trees. The timber chiefly 2nd growth and not over 6 in. diam. Lynn [linden], Poplar, W Oak, Hickory & Red Cedar – The banks are bold – about 10 feet and rise to the center of the Island in offsets of about 6 or 8 rods each to the most elevated parts which are about 30 feet above the Lake. – from a 1817 survey by Saml. Carpenter Jr.
Apple Island’s first admirers were Stone-Age Indians, who may have discovered it as early as 2,000 years ago. They were probably drawn to the site for its unique combination of land- and water-based resources, and the fact that their personal security was also enhanced on an island. It is not known exactly which Native Americans frequented Apple Island over the centuries before white settlement, but each group left clues to its way of life, including those which were raising crops at the time of Carpenter’s 1817 survey. In fact, the entire West Bloomfield lakes area has yielded many beautiful hammerstones, chert spearheads and birdstones – finely polished pieces of slate resembling stylized birds – left by their Native American owners long ago. The treaty of November 17, 1807, negotiated with the Odawa, Ojibwe, Wyandot, and Potawatomi, ceded a tract of land comprising roughly the southeast quarter of the lower peninsula of Michigan and a small section of Ohio to the United States governmnet. In time this land was surveyed, subdivided and offered for sale. Early settlers in what would become West Bloomfield Township noted that Native Americans visited the island often. In their language they reportedly referred to the area as “apple place” – a name which evidently stuck. When deposed in 1856, Chief Okemos made the following statement: “I was born in Michigan, near Pontiac, on an island in a lake… I was 30 years old when I left the place I was born.” Was Okemos referring to Apple Island? On June 18, 1850 Apple Island played host to a pair of remarkable visitors – two future kings of Hawaii. The published journal of Prince Alexander Liholiho, the future Kamehameha IV, recounts how he and his elder brother Prince Lot, the future Kamehameha V, were enjoying a picnic with friends when an ox interrupted them and ate the bonnet of one guest. In the 1930s an Apple Island resident plowing his small cornfield in the middle of the island struck what turned out to be a French-made, spun pewter bowl. Filled with shell beads, or wampum, it dates from the late 1700s or early 1800s, and was probably a gift from the French to the Native Americans. The bowl is now in the Cranbrook Collection. 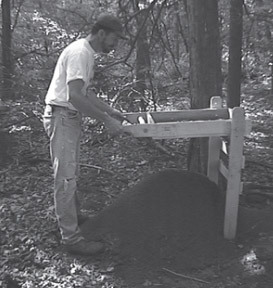 Several one-meter-square test pits dug on the west side of the island in 1997 yielded pottery and stone tools. At present there is no evidence that pottery production ever occurred on the island, nor is there a local source of flint or other stone suited to the manufacture of tools. These items were most likely brought to the island. One sign of early European influence on this area’s native population is the appearance of silver trade items, several of which were recovered during archaeological excavations on the island in June 2000. Jointly organized by the Greater West Bloomfield Historical Society, St. Mary’s College and the West Bloomfield School District, the field study gave local highschool students an opportunity to earn college credit while unearthing and preserving clues to Apple Island’s past. Apple Island was first purchased on June 18, 1827, by James Galloway of Palmyra, Wayne County, NY – reportedly at the price of eleven shillings, eight pence per acre. 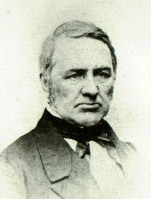 It is unlikely that Galloway ever lived on the island – his name does not appear on the 1830 Census of the Michigan Territory – but at least one of his sons eventually settled east of Pontiac. Galloway’s last will and testament, dated November 19, 1838, states: “I give to my said daughter Julia Ann Galloway all that piece of land, called Apple Island in Orchard Lake. So called, situated in the state of Michigan, and not many miles from Pontiac.” West Bloomfield records show that “non-resident” Joseph Allen, Julia Ann Galloway’s husband, paid $1.23 in taxes on the island in 1847. William Dow immigrated to this area from Fife, Scotland with his parents and siblings in 1830. They settled on 270 acres on the isthmus between Orchard and Cass lakes, in sections 9 and 10. The first members of what would become known as the “Scotch settlement,” the Dow brothers spent many winter days curling on the ice between Cedar and Apple Islands. On August 19, 1847 William Dow purchased Apple Island from the Allens for $1,050. Dow appears to have been the first white person to live on the island – in 1849 he paid taxes based partly on “personal property” associated with the parcel. After selling the island, Dow spent his final years as a farmer in West Bloomfield. He died on January 2, 1862 and is buried among family members in Pontiac’s Oak Hill Cemetery. The island was next purchased on June 25, 1851 by John Coats for $1,600. Born in Paisley, Scotland in 1819, Coats was the youngest son of cotton thread innovator James Coats. Two of John Coats’ brothers, James and Peter, formed the world-renowned J & P Coats Thread Co. John Coats came to Michigan in the late-1840’s, in part to act as an agent for his brothers’ company. One of 35 founding members of Detroit’s St. Andrew’s Society in 1849, he was co-owner of Jack & Coats, a wholesale and retail dry-goods store on Jefferson Avenue. Leaving his business, Coats built a single-story, Greek Revival home on the island’s highest point. There he and his young family enjoyed the solitude until his son James was of school age, at which time they returned to Scotland. After Willis Ward’s death in 1943, Apple Island was conveyed to his children, Marjorie Ward Strong and Harold Lee Ward. Upon Ward Strong’s death in 1970, and in accordance with her wish as expressed to her husband, Brigadier General Frederick Strong, the island was deeded by members of her family to the West Bloomfield School District. It was the intent of this gift that the area be used as an educational nature center, which would bring to the students of the district an appreciation for both their natural environment and the conservation our natural resources. On August 27, 1856 Coats sold the island to Colin Campbell for $3,050. Also a successful Scottish dry-goods merchant with a store on Jefferson and a founding member of the St. Andrew’s Society, Campbell viewed Apple Island as the ideal summer retreat. Campbell’s extended family and friends enjoyed the island’s majesty for almost 60 years. Extensive gardens and orchards were planted, and many new structures were built – but the island remained free from electricity, telephones and indoor plumbing. Campbell and his wife Caroline greatly enriched both Detroit and the Orchard Lake community through their unselfish philosophy of life. While Caroline Campbell was alive, each morning on the island began with prayer. In 1871 she was instrumental in the formation of Orchard Lake Community Church, Presbyterian. Under the Campbells’ ownership, the island became a cultural and aesthetic center for the entire region. Apple Island was next acquired in 1915 by Willis C. Ward, a lifelong Orchard Lake resident. Ward, a close friend of the Campbell family, allowed Forrest and Caroline Campbell, two of Colin’s offspring, to occupy homes on the island for as long as they desired. 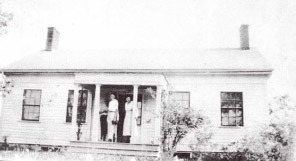 In the early 1920’s, Ward built a large home, complete with electricity from a generating system installed on the island. He lived there only a few summers, and the vacant home eventually burned after being struck by lightning in 1946. 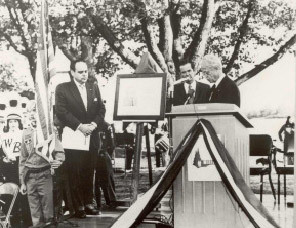 General Frederick S. Strong and Michigan Governor William Millikin during the ceremony presenting Apple Island to the West Bloomfield School District (1970). Consisting of approximately 35 acres, the island is three-eighths of a mile in length and a quarter of a mile wide, with a perimeter of more than a mile of lake frontage. Its highest point (960 ft. elevation) lies approximately 31 feet above the normal elevation of Orchard Lake. The Sanctuary (and its characteristic resources of soil groups, shore edges, oak forest stands, bogs and topography) is unique in that it contains examples of every type of ecological system identified within the southeastern Michigan region. It is home to more than 400 species of trees and plants, including many rare in Oakland County. A detailed account of the island’s flora can be found in Apple Island: The Marjorie Ward Strong Woodland Sanctuary, which is available from the Greater West Bloomfield Historical Society. Sponsors of the Apple Island Tours offered annually during the 2nd Weekend in June. Artifacts found on Apple Island during the first archeological dig during the summer of 2000.